Earth is home for so many creatures. We all share this life-sustaining planet. May we be considerate of the well-being of all creation, excluding no living being? Can you deepen your caring for others? Will you look out for the well-being of animals, insects and plants? 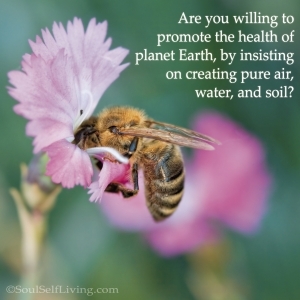 Are you willing to promote the health of planet Earth, by insisting on creating pure air, water, and soil?